Be it overseas or somewhere close, there are many ways to spend your holidays this season. If plane tickets are out of your budget, you're probably thinking, ''Where can I find the cheapest staycation this holiday?" Well, I might just have one for the taking. It's time to on a little Cuti-Cuti Malaysia in Sabah! 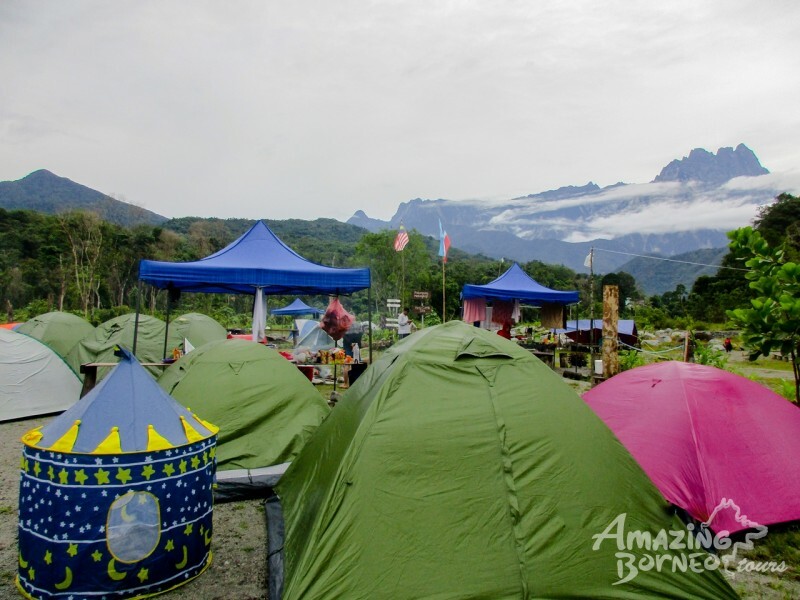 Introducing Polumpung Melangkap View Campsite (PMVCS), a family-friendly spot set against a New Zealand-ish backdrop with its elegant river, exquisite landscape, and a jaw-dropping view of the majestic Mount Kinabalu! Except it's not New Zealand nor is it Switzerland. This is set at the beautiful hillside of Kota Belud, Sabah. 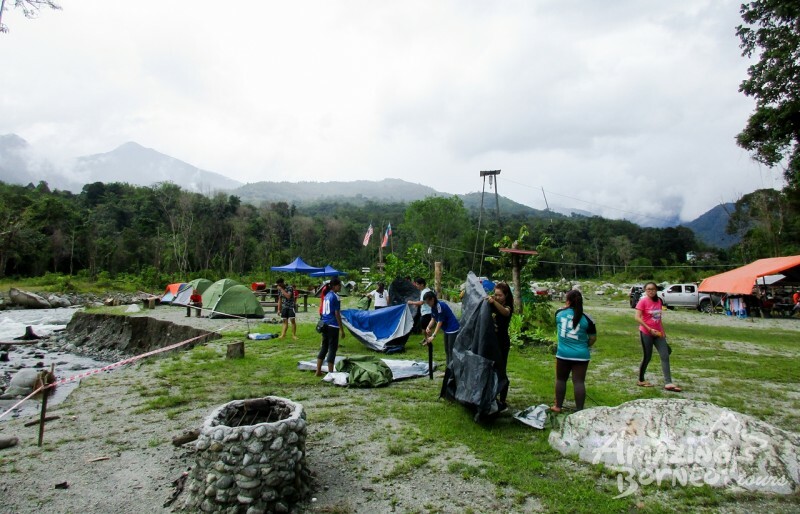 Only a 1 hour and 18 minutes' drive from Kota Kinabalu city to Kota Belud, the road to PMVCS will lead you to Kampung Melangkap Baru, where you'll see a sign pointing you to a house the campsite is nestled behind. 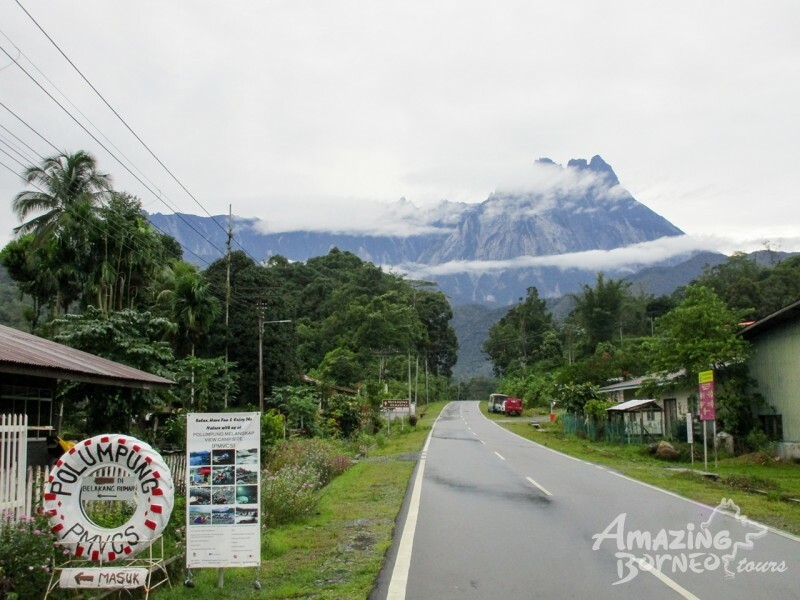 A magnificent view of Mount Kinabalu and the PMVCS entrance. Now you must be wondering, "Is this trip going to burn a hole through my wallet?" Entrance fee is RM3 for a day trip however, camping overnight is an additional RM6. Don't have tents of your own? 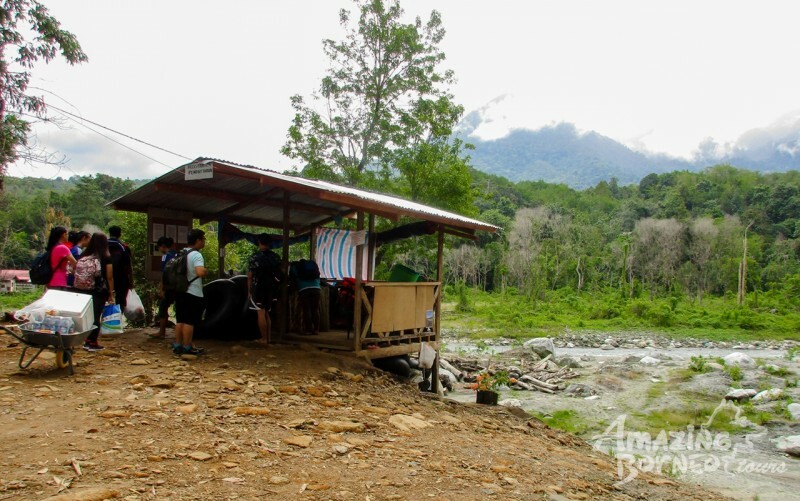 You can rent them for RM10 per night, depending on how many are in your group. 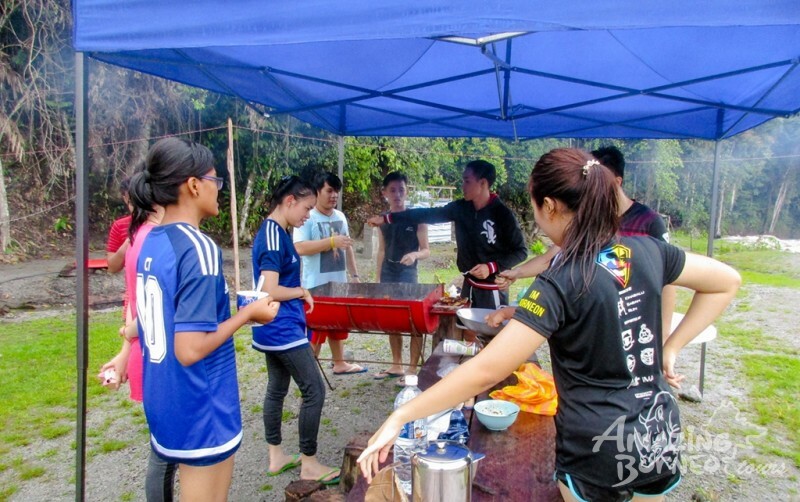 Tents are limited, so do contact the person in charge if you have any enquiries or want to make reservations. As for food and beverages, I suggest bringing your own for there won't be any convenient stores nearby. So be sure to purchase enough food along the way! Be sure to check the weather prior to coming here because it can be a bit unpredictable. To prevent your valuables from turning into a soggy mess, you may request for a canopy or two to be pitched on your camping spot for maximum comfort when cooking, dining or lounging with friends and family! Working together to pitch our tents before the sky rains wet mercy on us! After pitching your tents, it's time to head down to the river! Dip your foot or body in and feel rejuvenated as crystal clear waters ease away the tension from your shoulders, and allow your problems to float away with the current. Be aware of the current for its gushing water can turn vigorous if it starts to rain. Families with small children are advised to keep away if the current gets too strong. 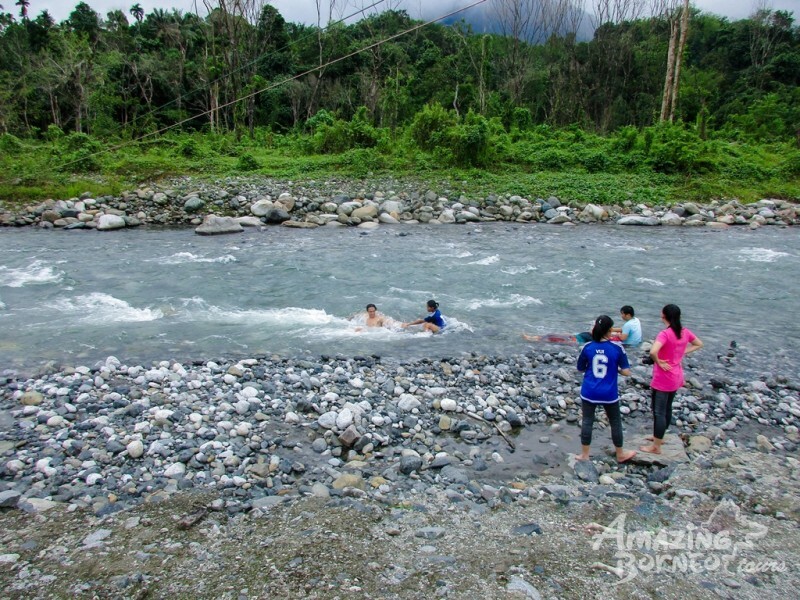 Disregarding that, bathing in the river is a must do activity when in PMVCS. There are even donut-shaped floats for rent if you're the lounger type! But those are limited too, so be sure to check with the person in charge if there are any left. Big rocks, sand, and freezing cold water. Count me in! After all that fun in the water, it's time for FOOD! BBQ pits are placed everywhere around the campsite but can be limited if there are a lot of campers around. If that's the case, there's always a solution and it comes in the form of a portable stove. Request politely and it might just come with a wok too! Getting our grill on under our trusty canopy because it started to drizzle. Alas, the sun sets, tinting the sky bright crimson hues, followed by night fall. And before you know it, it's time to bring out your sweaters and comfy pants 'cause it can get chilly when the stars come out to dazzle the night sky. 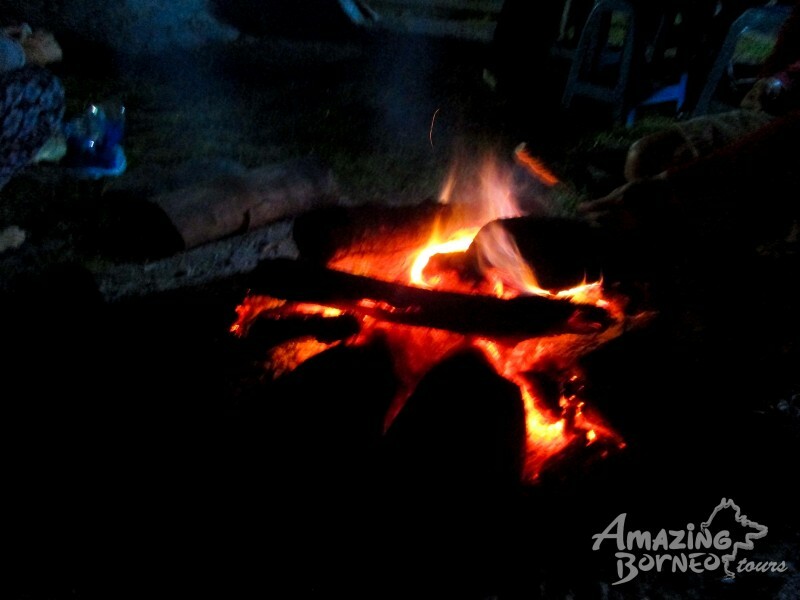 It wouldn't be called camping if you didn't have a roaring campfire for storytelling and to keep yourself warm and toasty throughout the night. Making a campfire has never been easier with all the chopped up firewood laying around for you to pick up and feed to the fire. Now, where did I put my marshmallows? Lastly, when everyone has settled down, bring out your sleeping mats and find a spot far from artificial light to begin your stargazing session. This is the perfect time for family bonding... or even confessing one's love to your mi amour. Awake to a first class view of Aki Nabalu the morning after! Camping can create lasting memories, so try suggesting a camping trip to your family and friends for that memorable time together! 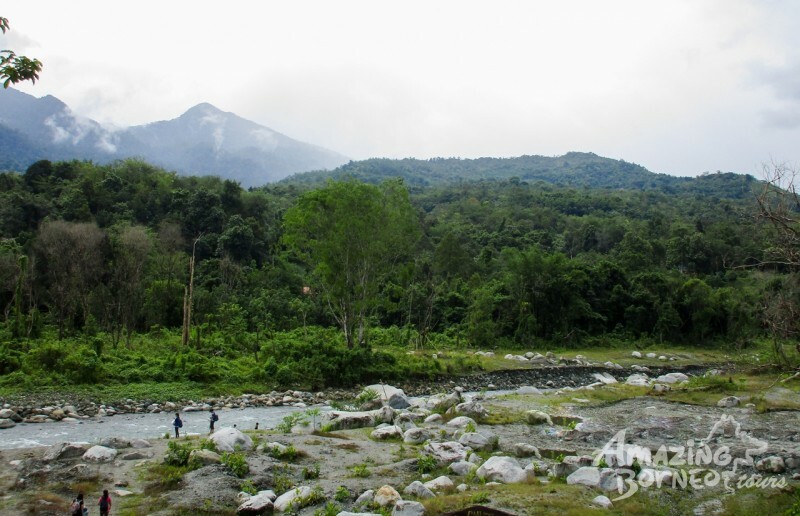 Click on these links if you'd like to venture around Sabah with us! Click here for more information on PMVCS. Amazing Borneo awarded Best Inbound Tour Operator at Sabah Tourism Awards 2017! Amazing Borneo's 8th Annual Dinner & Dance 2017!